According to the EPA, every new home should be tested for radon. An increasing number of builders and new construction homebuyers are choosing to make new homes radon-resistant. This approach is particularly popular in areas where radon levels are high. (See Radon Occurrence Maps.) In fact, many new homes are fitted with the equipment needed for easy and economical installation of a radon reduction system if radon levels become elevated at any time. 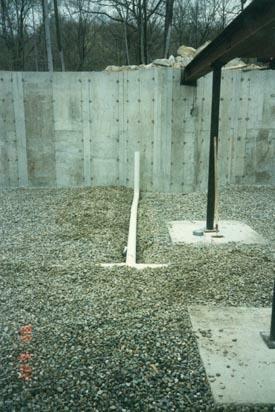 This layer, often a 4-inch layer of clean gravel, is placed beneath the slab or flooring system to allow the radon gas to move freely underneath the house. The plastic sheeting is installed on top of the gas permeable layer and under the slab to help prevent the radon gas from entering the home. 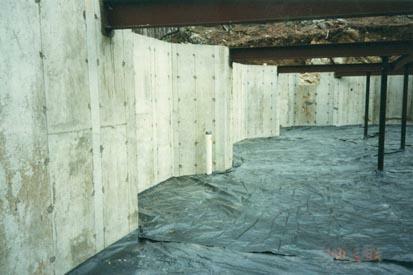 In crawlspaces, the sheeting is placed over the crawlspace floor. To prepare a new home for installation of a radon reduction system if needed, US Radon Management, Inc also recommends the installation of a vent pipe so that, in the event that radon levels test high, all that will be needed to complete a radon system installation is the addition of a radon fan, u-tube manometer, and updated system labeling. An electrical junction box is installed in case a radon-venting fan is needed later. According to the Association of Home Builders (NAHB) Research Center more than 1.6 million single-family detached homes built since 1990 have radon-reducing features.